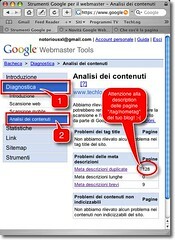 Google Webmaster Direct To A Spreadsheet - SmackSmog! If you are like me you aren’t always able to go online and look up your Google Webmaster Data online. Sometimes you need to compile the data from multiple sites and place them into a spreadsheet for anaylsis and creating reports for clients. I just read that Google Webmaster will now allow you to export the data into a csv file and view it in a spreadsheet. It’s also worthy of note that you can also choose to open this directly as a spreadsheet in Google Docs. The advantage is of course that you can then share the spreadsheet with others and even work on it together with others by using the Share Feature. It’s nice to see Google continuing to cross utilize their own tools. Sometimes innovation doesn’t always come in the shape of a tablet but a truly useful feature.